At its annual Prose Awards luncheon on February 8 in Washington D.C., the American Association of Publishers announced that A Meeting of Land and Sea. Nature and the Future of Martha’s Vineyard had been awarded the 2018 prize for Environmental Science. The PROSE Awards annually recognize the very best in professional and scholarly publishing by bringing attention to distinguished books, journals, and electronic content in 58 categories. 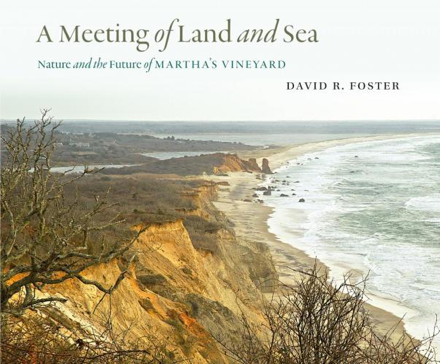 Published in 2017, A Meeting of Land and Sea synthesizes twenty years of research in combination with over 300 color photographs, maps, and charts to explore the history, ecology and conservation of Martha’s Vineyard. The book was published by Yale University Press and is a synthesis volume from Harvard Forest LTER program. David Foster provided the photographs and Brian Hall contributed many maps and graphics.